Here is another excellent product from Bella & Bear. 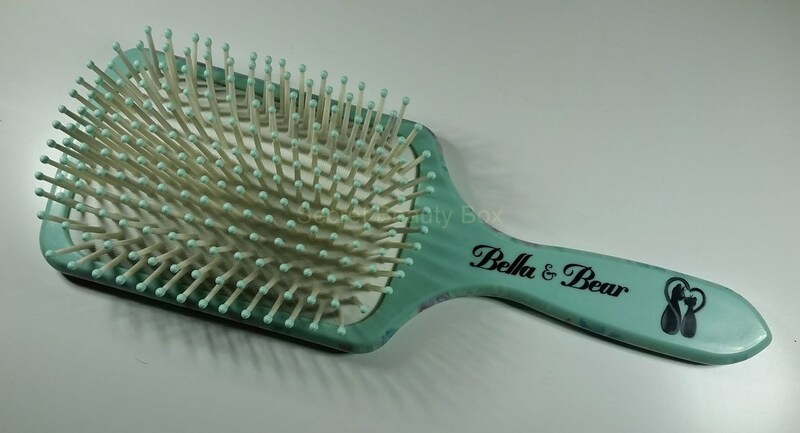 Their latest brush is the paddle brush which I really like and I find it great for my thick hair. This can be bought through Amazon , its RRP is £19.00 but it is currently on offer for £12.99. Again with their products I don’t think I would ever pay the RRP for them, but they are always on offer and at what I consider a more reasonable price. I think I say that about all of their products. This brush matches everything from their range which is something I really like, you can have their whole product range and it would look amazing on your dressing table! The colour is a kind of pastel blue and the balls on the end of the bristles are the same colour. It has their cat logo on the handle along with their name. This is a very pretty brush and it definitely stands out from the other paddle brushes that I own. This brush gets even prettier when you turn it over as well. 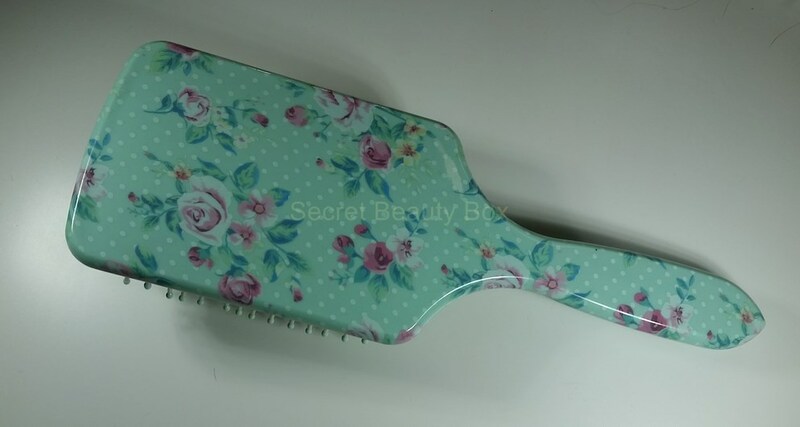 The entire back of the brush has the vintage floral pattern on it. Floral patterns are not normally my thing but Bella & Bear have definitely got it right with this design. It is so girly and pretty and as I said before it makes it stand out really well. A lot of my brushes are just boring colours or plain black, well this brightens up my dressing table and adds a nice splash of colour. This has to be the prettiest brush I have ever owned! The brush is very well made and the cushion and bristles make it easy to run through your hair and remove tangles pain free. The bristles are very well made and don’t scratch your scalp at all, you can use this on wet or dry hair and it won’t damage your hair. The long handle makes it very easy to hold on to, so you can easily use this whilst drying your hair. 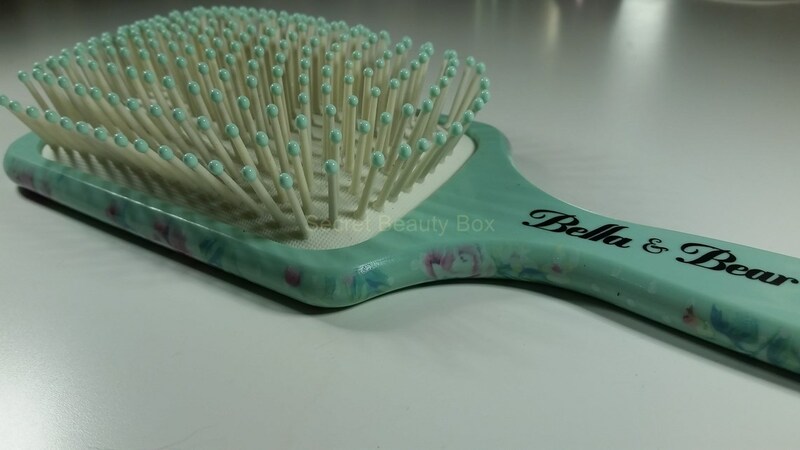 The large size of the brush makes it easy to dry your hair straight and quickly. This is another product that I really like and I am so happy to be able to add this to my collection, thank you Bella & Bear. I really can’t wait to see what other products they release. 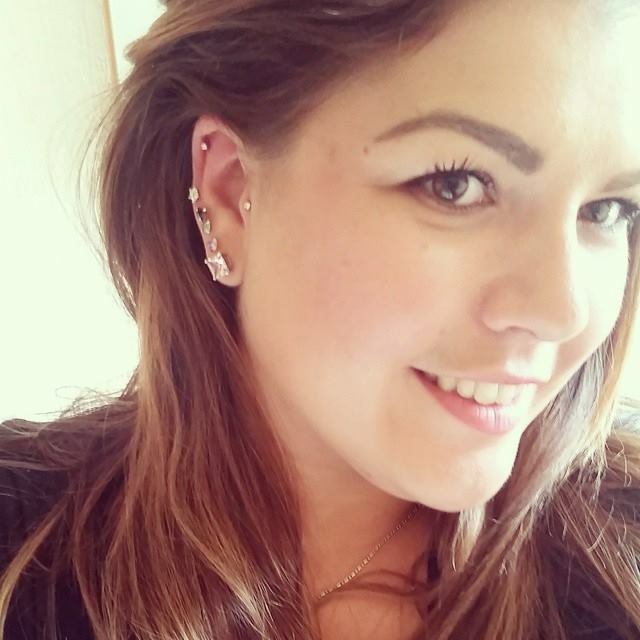 Bella & Bear is a company to keep an eye on as they produce some really cute and interesting products.